Amazon Drive is a cloud backup for photos, files and videos. "A free 5 GB storing and with access from anywhere"
Whoever has an Amazon.com account has a free 5GB storage space for videos, photos and files. These can be on hand when needed, no matter where you are, as long as there is a good internet connection. I see an emphasis on promoting in the product another of its benefits called "Drag and Drop", which allows you to drag your file directly to the Amazon Drive window and up to the folder where you want to save it. Immediately, the file begins to be uploaded to Amazon Drive. It is a support in collaborative work and to share in group. A disadvantage is its basic level of storage is very low, that is 5 GB. If you want to have more storage in GB you must pay or hire an annual payment. If you require a site to store free information and less than 5 GB, you can choose to use Amazon Drive and just open your Amazon.com account, if you do not have one. Amazon Drive works to download remote files that my colleagues have uploaded in order to share them after completing their foreign jobs. Once the downloaded information is available, decisions can be made and solutions can be found more quickly and efficiently. is a good tool to keep a copy of your files in the cloud, just have an Amazon account and you can save up to 5GB of space. "Great tool to keep a secure copy of your files in the cloud"
It has many positive aspects; one of the most enjoyable is the compatibility with various file extensions of images, videos among others. It has a very beautiful and modern interface. No need to worry about files in physical memory, since it has a good security for access of all interested in the cloud. The ease is great in just dragging the item to the Amazon Drive window, without major difficulties and knowledge to perform this action. Very useful for sharing files with others who are interested in the content and are in a distant area. Sometimes does not synchronize properly, overlap files, and make documents conflicting and inaccessible on several occasions. And the added value to your storage when upgrading is necessary is very costly. It is easy, efficient and safe. You will not lose your documents, but of course you need a physical copy for any possible conflict. The Amazon Drive product works great for saving files that are not only stored in physical storage, but are cloud free from mechanical or electrical failure. The fact of sharing the files with other interested parties makes the interaction between corporate or student works very efficient. It is important to have full file content in physical memory, and updated to the occasional moments that conflicts occur in the system, causing compromise in the performance of the use of these files in the cloud. "amazon drive para guardar información financiera "
Excelente servicio en la nube , practico y sencillo de usar también es muy útil y eficaz en todos los usos posibles para el guardar información financiera de la empresa. en conclusión Imprescindible para cualquier el usuario. Han cancelado el servicio de drive ilimitado, otro disgusto es que los ordenadores Mac de mas de 7 años , ya no se puede hacer del servicio de la aplicación por lo que algunos ordenadores de mi empresa no pueden usarlo , ni se puede actualizar, en el ordenador, cosa que deseo que este problema sea resuelto. tiene un plan premium bastante bueno, es bastente seguro y muy sencillo! lo recomiendo por mi experiencia en su uso! "Aprovecha el Drive de Amazon"
Ya que una gran mayoría de usuarios de las nuevas tecnologías poseemos una cuenta en Amazon, ¿Porqué no aprovechar la aplicación de almacenaje de ficheros? Me gusta porque está integrada en toda la suite de productos Amazon. Puedo acceder a ella desde el Móvil, el PC, Android TV. Puedo tener una copia de seguridad de todas mis fotos ya sea de la computadora o del smartphone y verlas desde el televisor. La cuenta gratuita para copia de fotografías es "Ilimitada" y tenemos 5GB para ficheros. Se nos antoja suficiente para un uso personal. Y además hay una cuenta de pago con un precio contenido pata poseer más capacidad de almacenaje. Genial. Amazon Drive funciona de manera correcta y eficaz como la mayoría de los productos de su competencia. Pero en pleno siglo XXI deberíamos exigirle un poco más, como por ejemplo que fuera acompañado de más funciones como la Edición de fotografías o vídeos o la Edición de ficheros ofimáticos. La velocidad de internet ha vivido una revolución estos últimos años; los usuarios y empresas debemos pedir más "Valor Productivo" ya que nunca fue tan fácil su implementación. Para uso personal o familiar: Instalar Amazon Drive en el PC, Laptop, Smartphone, Android TV y desde el navegador para copia de seguridad de fotos y archivos. Nunca fue tan fácil, rápido y seguro tener una copia de nuestros archivos en la Nube. Para uso profesional: Tener una cuenta de pago de Amazon Drive es muy asequible para cualquier pequeña y mediana empresa. Un lugar adecuado para tener una copia segura de ficheros y acceder a ellos desde cualquier dispositivo y en cualquier lugar. Aumentar la productividad fácilmente. Amazon Drive me ha servido para tener un lugar de "confianza" y totalmente seguro donde poder almacenar fotos y ficheros tanto a nivel de usuario individual como por trabajos de oficina. Presente en todos mis dispositivos y de uso muy fácil. Amazon Drive isn't difficult to use, but it is noticeably clunky and lackluster compared to other cloud services. Uploading and downloading files can be time consuming. All the same, the service is pretty self-explanatory and new users shouldn't have trouble navigating the web interface. Perhaps most notable about the service is its focus on music. Not only can you can store your existing music library in Amazon Drive, but any MP3 you purchase from Amazon in the future is saved as well. After the second or third GB it stalled and took my internet connection down to a stall also. To recover my normal hi-speed connection I had to reboot my computer. I tested my connection and was getting 15 Mbps upload speed and 110 Mbps download speed. Not only is this an amazing and hassle-free way of backing up mobile data, it is also a nice way to transfer files between PC and Mobile. Amazon Drive is a cloud service that's rough around the edges but definitely has potential. It provides cost-efficient plans, widespread file support and a built-in music player. If the service gains any traction, expect Amazon to capitalize on the service's untapped potential and fine-tune it to be on par with the competition. With Amazon Drive, you only pay for what you need. The cloud service provides several storage-tier plans that will work for you, regardless of how much – or little – cloud storage you need. In addition to flexible plans, Amazon provides great content support, allowing you to upload anything digital, including documents, music, photos and videos, with no limit on file size. You can then preview and upload saved files from any computer with an internet connection. You only need to pay for what you need. Only pay for what you need.so it is very cost effective. "Among the best cloud storage provider"
Back up files to cloud, restore files, preview of photo and videos , email support of amazon is among the best, user interface is very interactive and easy to understand , fast file syncing , gets updated in no time last but not the least subscription options are quite interesting for prime members. Security is not very best as anyone knowing amazon passwords can log in should require some complex SH5 algorithm here. Not available on mobile only desktop support. Please look for other products as per your need then decide but I recommend this. Our primary benefit was only and only File sharing at central repository so that all can new employees access Training data although we used this without passwords . "Best experience with amezon drive"
I love having the added reward for being a prime member and being able to access this service. I can upload photos and videos to the drive and save them in a safe cloud-based location, rather than taking up space on my phone or computer. I wish there was more than 5 GB of storage for non-photo file types. I film a lot of videos and have a lot of music, which can get to be a large amount of data. It would be better to have unlimited storage for all files, although I'm sure that would be hard to accommodate. I highly recommend this if you already have an Amazon Prime membership. I am able to spend less money on alternatives to saving files and archiving important media. I can spend less money on external hard drives, since I am able to upload my material to this Amazon cloud. "Good alternative to other cloud storages"
I am now using amazon drive for quite some time now and the trust that it brings with itself under the name of amazon is very relaxing. I do not see anything so far that I don't like about amazon drive. Its a good service. Try it for sometime, dont judge too early. I have been using amazon drive and its very useful in keeping all my documents and other files in sync. One of its best features is the cross-platform compatibility and it offers a great upload/download speed. Also, Amazon Drive is a reliable cloud storage service that offers a high-security level. Amazon Drive is a great cloud storage option for individuals, especially for those who take a lot of photos or videos. A lot more expensive than Google Drive, which is 1.99/month. Also, unlike with Google Drive, you can't back up your work with Amazon Drive. Best for beginners who want to start using cloud services. Easy uploading of small files such as documents and photos and I get benefitted from getting these uploaded documents whenever I want. "Store your data securely on cloud"
Amazon drive allows us to store documents, pictures, videos on cloud.very easy to use application. We must give a try to Amazon drive. If you are a Amazon prime user then you will get more storage space. Good cloud storage application. We generally store those files in Amazon drive which we want to share with many people. We place such files on drive and then share the Amazon drive link. This makes easier to share the information. Sometimes it makes painful while we search our buckets or some drives as we give in some other location and when it is showing some other location. "Very good drive for cloud storage"
Free for prime users, since this is built on amazon web services, service is very good. Can store unlimited music, videos photos. Very easy to use interface available for both computer and phone which is very handy. No trial for this amazon drive, need to be amazon prime member. if we opt to unsubscribe to prime every data we need to either move to other storage cloud or physical, otherwise we will lose data. One of the best applications to store your information. The capacity, speed of loading and unloading are fine. Easy way to keep data secure and available at all time. I cannot say much about the dislike since it serves me well and hope other can take advantage of it benefits. Keeping my data available and accessible to me wherever I am. I am very pleased with their great backup capacity and being able to handle an important amount of data, always with great security and good performance. Honestly I have nothing negative to say about this program is totally efficient. Amplias recomendaciones sobre este producto, obtendras muchas ventajas gracias a su fabuloso método de almacenamiento y respaldo eficiente. Among the unknowns solved by this product is the storage capacity and its efficient transfer flow that should be highlighted is the best that I have tested at a professional level. This platform is very useful for cloud storage, file backup, file sharing, and Photo printing. It is also useful for files and folders can be transferred and managed from multiple devices. this is the best solution for storage, file backup, file sharing, and Photo printing. Portability, mobility, shareable, securable, and expandable. Accessibility may still be improved with organization. What are you waiting for? Easy to access with no installation. Mobility and shareable. Previously, we would have to save files to a thumb drive or such to be able to bring our work with us. Now as long as you have an internet connection, we can get to the files. Also, to share files, you can securely target who you want to receive the invitation to share. "A good option, but not the best!" -for people who just want to store their photos and some small files. -I have had many problems with its synchronization, to the point of doing it myself. -does not have many plans. "review of amazon drive "
One of its best features is the cross-platform compatibility. The price of the service is also great, considering its features. Despite this fact, some mentioned that it only has 2 plans, which might not leave enough options for their customers. some users complained about the fact that it is a bit prohibitive. Also, you need to insert your credit card number in order to set up the account. We user it to store backups from our systems and sites, and we also manage our site downloads from S3. Our downloads are also secured via tokens. So, they are not open to the public. It's feature of unlimited photo storage,documents and fast file syncing makes it a bit ahead of other storage units. It's restriction that availability of unlimited photo storage only to prime members makes upset. We as a team require some documents need to be shared among ourselves which helps a lot to continue our work. This unlimited storage of amazon drive makes our function easy. "Free Cloud Service By Amazon"
It give us the free 5 GB storage to store our files on cloud. It is very easy to manage our files or folders in it. Is is very secure as the name say it is the amazon product. We can also share our files through it to other users. If we store the large amount of data then we have to purchase it. As though it is secure but it may have risk to store confidential data on the cloud. I used the client amazon drive to share the projects and files through it. It's one the best cloud storage available to edit and store the data such as photos, video. It can be used across various devices. Since storage of data is one of the main concerns the cheap and safe means is always sought. There's nothing to dislike as such but there can be more editing tools and data classification tools which can make it much more useful and more sought after from the already existing storage tools in the market. I have used Amazon drive on y devices, it's a nice experience. We can uplaod picture, videos, documents on cloud and share the data with anyone. Easy to use. Only 5GB of free space. It should be around 15 GBs as provided by Google drive. Good data sharing application but with less free space. Very easy to use. We can easily share our documents. "Great service for backing up the different files in your storage"
Amazon’s Drive offers a place for data to reside online at a reasonable price. It does now have sync but lacks other sophisticated functionality provided by other Cloud storage providers. Amazon Cloud Drive has a basic way of sharing and storing certain files. Makes for a wonderful cloud storage service. With the help of Amazon, you can easily share the files and folders in a very efficient manner. and turn off the syncing for some files that you don’t want to store in the hard drive. It's feature of unlimited photo storage and document's makes it bit ahead of other storage drives. Accessibility of unlimited storage only to prime members feels uncomfortable to non prime users. limitations in storage capacity.amazon dives offers unlimited storage,security,privacy to the users data ,which motivate users to buy it. "Very Good for storing data." The unlimited storage is very useful across the domains, easily approachable to people. The Feature is only for prime users so normal users cant use the same. Its a good resource to store data like videos and photos. It is a nice platform to store the data. "Just a cloud storage solution with some additional features." The best thing I liked about the product is User friendly Interface, all the features working really well and its comes with 30 days trail. I feel there has been security threat for Amazon Drive. Security wise I am not satisfied with this product and the product pricing varies all over the world. The product has been solve cloud storage related issue and creating backup for my files. "Amazon Drive met our needs and then some. " Amazon Drive was perfect for compilation and file sharing. We loved the unlimited photo storage too, as we used that quite extensively. The only thing we didn’t really like was the support as they were not very knowledgeable about or responsive to our concerns. For the price, you should definitely give it a try and see if it is right for you. We were solving the need for collaboration and file storage and Drive did it’s job impeccably. "Cloud space to store data "
Very simple to use.we can easily upload data on Amazon drive and store images and documents. We usually store testing screenshots and test documents on Amazon drive. "Great Cloud backup features built by a giant"
The best part is that photos don't count towards the 100 GB limit, which in case many of the customers are. The 1 TB features of 60 dollars nearly are found to be a bit pricey. Amazon drive is good for organizations as they provide subscription options and also have round-the-clock email and chat support which is crucial. Amazon drive still does not compare to Google drive as it lacks productivity apps and also the support in not that great. It is clean and hassle free. Also it is quite straightforward to use. The app is sometimes slow to open and get up and running. The syncing takes time. Also no desktop version. Weak security and lacks many of the features that Google and Microsoft has been using. Amazon drive works with AWS Lambda, so I can log activities, define alerts, and automate my workflows without managing additional infrastructure, let delayed project based issues with my team and colleagues. The accessibility of media from anywhere. I can store different media and accesses it when ever require. Cost are can be improved and multiple user sharing or team sharing option can be improved. Project source code and different document store it in cloud. So it will accessible from any location. "Pricey for a lot of storage"
Works for PC and Macs. Easy to use. Works for all types of files. Can make folders use and uploads are simple. To get a lot of storage you have to pay a lot. Don't think it is worth the money. The amount it charges.it can be specifically used by prime users . It's just like a personal hard drive on the cloud, you only pay for what you use. Uploading and downloading files little bit time consuming as compared to other cloud services. I love amazon drive. It helps solve a lot of my problems. Maybe some clitches sometime and not so much features developed yet. It helps my work process be faster because of Amazon Drive. Really useful. "Amazon is truly changing the programming scene"
It offers a one stop to everything in terms of programming and creatig new software. Complicated process of giving new users access to your drive/files etc. 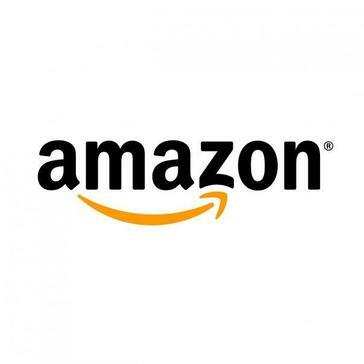 * We monitor all Amazon Drive reviews to prevent fraudulent reviews and keep review quality high. We do not post reviews by company employees or direct competitors. Validated reviews require the user to submit a screenshot of the product containing their user ID, in order to verify a user is an actual user of the product. Hi there! Are you looking to implement a solution like Amazon Drive?